Rolex World of Yachting video above published Aug 28, 2018: Great competition in an enviable environment, a prevailing spirit of fair play and an opportunity to sail yachts renowned for their grace, enduring appeal and rich heritage, the Rolex Swan Cup is one of the seminal events in the sport of yachting. The event is also defined by the historic, three-way partnership between Nautor’s Swan, the Yacht Club Costa Smeralda (YCCS), and Rolex, whose association with sailing marks 60 years in 2018. The 20th edition of the event will be held in Porto Cervo, Sardinia from 9-16 September and is set to welcome an international fleet in excess of 115 yachts with models ranging from classic Sparkman & Stephens designs dating back to the mid-1960s, highly-competitive one design classes, and cutting-edge Swan Maxis and Super Maxis. ICARUS Sports video above published Aug 28, 2018. See also facebook.com/rodoscup2018. ExtremeSailingSeries video published Aug 27, 2018: event highlights from the Extreme Sailing Series™ Cardiff. ExtremeSailingSeries video scheduled for Aug 27, 2018. Extreme Sailing Series video above scheduled for Sunday, Aug 26, 2018. 52 Super Series video above published Aug 26, 2018: Congrats to Quantum Racing! 52 Super Series video above published Aug 25, 2018: only five points separate first and fifth. 52SuperSeries video published Aug 24, 2018: Our ten-boat fleet are put to the test under deceptively tricky sailing conditions. 52SuperSeries video published Aug 23, 2018: With much better sailing conditions, Day 2 was packed full of action with three great races. The Puerto Portals 52 SUPER SERIES Sailing Week, the decisive penultimate regatta of the season, 21-25 August 2018 at Mallorca. 52 SUPER SERIES website: 52superseries.com. See also ROLEX TP52 World Championship Cascais 2018, July 17-21. RORC video above published Aug 18, 2018: Charles-louis Mourruau's Colombre XL (The Lost Boys) round Muckle Flugga in the Sevenstar Round Britain and Ireland Race. The team rounded the most northerly part of the course which is on the 60th Parallel North, the same as Alaska.The video was taken by the Classic Yacht Mariette, thanks to Skipper Charlie Wroe. Final UPDATE (Aug 27): Giles Redpath's Lombard 46 Pata Negra is the overall winner of the 2018 Sevenstar Round Britain and Ireland Race. Pata Negra scored the best corrected time for yachts racing under the IRC Rating Rule for the 1,805 nautical mile non-stop race. UPDATE 21 Aug 2018: Tony Lawson's Class40 Concise 8, skippered by Jack Trigger, finished the Sevenstar Round Britain and Ireland Race on Monday 20th Aug at 22:39:20, less than six hours after Phil Sharp's record-setting Imerys Clean Energy. A huge welcome party greeted the youngest team in the race after they crossed the finish line, including RORC Commodore Steven Anderson, RORC Racing Manager Chris Stone, and Phil Sharp and his entire crew. Concise 8 had chased Imerys Clean Energy around the 1,805 nautical mile course until a broken forestay forced Concise 8 to reduce sail. "If you race around this course you know it's going to be tough. You want to test yourself and test the boat, and we had everything that we had asked for. The crew and the boat was punished and we feel a real sense of achievement," said Trigger who is a Type-1 diabetic with a goal to compete in the Vendée Globe. UPDATE 20 Aug 2018: Phil Sharp's Class40 Imerys Clean Energy has taken line honours in the 2018 Sevenstar Round Britain and Ireland Race in an elapsed time of 8 days 4 hours 14 minutes 49 seconds, winning the Class40 Division and setting a new world record in the race for yachts 40ft or under (subject to ratification). The team smashed the previous record by 15 hours. The victorious Imerys Clean Energy crew: Phil Sharp, Julien Pulvé, Pablo Santurdé and Sam Matson were met on the dock by friends, family and fans of the race. "It hasn't really sunk in yet, but it is just fantastic to take line honours, the win in the Class40s, and break the world record!" exclaimed an elated Phil Sharp. "This is definitely the toughest race in the northern hemisphere, harder than a transatlantic and all credit to the team who stuck at it and were exceptional, especially when the going got tough. You don't expect to do a race like this without breaking gear. We ripped our smaller spinnaker before halfway and for the last three days we have had no wind instruments, so it was back to old school feeling the breeze. During the race we saw real extremes of challenging weather conditions, from heavy downwind, to light upwind sailing, and although in our class we had other competitive boats that pushed us, it turned out to be very much a race of attrition. Many thanks to the Royal Ocean Racing Club for organising a fantastic race," continued Sharp. 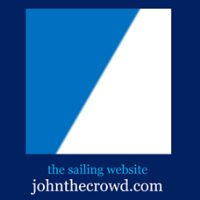 UPDATE Aug 18, 2018: Nineteen teams are still racing in the Sevenstar Round Britain and Ireland Race, sending passionate reports from the race course: roundbritainandireland.rorc.org/news/blogs. Retired: R&W, Campagne de France, Phosphorus II, Phort-y, Oman Sail, Esprit Scout, Bam!, Corum, Azawakh, Joanna of Cowes DNS. The Race ENTRIES: List by class here (pdf). More information here (pdf). The race in numbers: 1 epic non-stop race; 1,805 nautical miles in length; 28 international entries; 11 x Class40s; 10 x Two Handed. UPDATE Aug 17, 2018: Six days into the Sevenstar Round Britain and Ireland Race, the two leading Class40s have rounded Out Stack off Muckle Flugga, the most northerly part of the 1,805 nautical mile course. Phil Sharp's Class40 Imerys Clean Energy leads the charge south. Jack Trigger's young team on Concise 8 poses the biggest threat, and Nicolas Troussel's new French Class40 Corum has retired from the race having collided with a shark. Read more here. Tough conditions have continued for the fleet racing in the Sevenstar Round Britain and Ireland Race, with competitors reporting 30 knots of wind gusting to 35, with 3-4 metre waves in a confused sea state. As the front runners reach the halfway point, the battle for line honours is raging north of the Outer Hebrides. Class40 Concise 8 skippered by Jack Trigger moved up to second place yesterday and briefly took pole position during the night. However, Phil Sharp's Imerys Clean Energy fought back to regain the lead as the team passed the remote island of Sula Sgeir. Nicolas Troussel's Corum is less than a mile behind Concise 8. Giles Redpath's Pata Negra is still the provisional overall leader after IRC time correction, but Ben Schwartz and Chen Jin Hao's Figaro 2 El Velosolex Sl Energies Group has closed the gap. Read more at link above. UPDATE Aug 15, 2018: "Big breeze has returned to the Sevenstar Round Britain and Ireland Race; the leading teams are blasting downwind along the wild west coast of Ireland as the chasing pack round the famous Fastnet Lighthouse, cracking sheets for Mizen Head. Phil Sharp's Class40 Imerys Clean Energy leads the fleet but still has over 1,200 miles to go to take the prize. Racing under IRC for the overall race win, Giles Redpath's Lombard 46 Pata Negra is the provisional leader. Ben Schwartz and Chen Jin Hao's Figaro 2 El Velosolex Sl Energies Group leads the IRC Two-Handed fleet." More info at link above. UPDATE: Aug 14, 2018--Battle in the Celtic Sea--The cold front that brought tough conditions to the start of the Sevenstar Round Britain and Ireland Race have now passed, with the fleet enjoying bright sunshine yesterday and a relatively calm second night at sea. However, the intensity on the race course has been ratcheted up with wind shifts providing opportunities to make gains and losses throughout the fleet. Looking further ahead, 25-30 knots of wind and a significant sea state are expected to affect the fleet in the Celtic Sea and on the West Coast of Ireland ... read more at link above. Sevenstar Round Britain and Ireland Race start 12 August 2018: Twenty eight teams with crew from 18 different countries started the 2018 Sevenstar Round Britain and Ireland Race at midday on Sunday 12th August, organised by the Royal Ocean Racing Club, with cannon fire from the Royal Yacht Squadron Line signaling the start of one of the world's toughest yacht races. At the start a cold front from the Atlantic provided pewter skies and a gusting southerly wind, accompanied by rain. Several low pressure systems are forecast to give rough weather during the 1,805 nautical mile marathon. Video by Cahto Communications published Aug 13: Following the Skippers Briefing for the Sevenstar Round Britain and Ireland Race, over 140 crew members from 18 countries and 28 teams enjoyed a BBQ and farewell gathering at the RORC Cowes Clubhouse, Cowes. Ian Hoddle (Game On), Mike Golding (Phort-y), Charlene Howard (AJ Wanderlust), Gavin Howe (Tigris) and members of the crew from Phosphorus shared their thoughts on the eve of the 1,805nm gruelling race.